FYI: I'm blogging with my BFF over at cookiepocket.org 2-3 times each week. (And my last post just so happens to be on books to read over the holidays!) Our focus is basically feminism, pop culture, cute things, current events, and funny stuff. 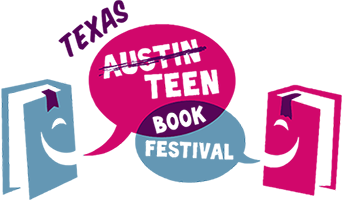 Texas Teen Book Fest 2014! PS: Life is calming down now, so I'm ready to get back to talking about books. More soon! I've read a zillion books this summer... I should really write about them! Also, I need to freak out over Dangerous Girls (and then Boys! ), and Isla, and how much I love Sarah MacLean. However, I'm starting my first year teaching (ahh! ), so I'm really, really busy. As of tomorrow, I'll be teaching history to middle schoolers. Keep me in your thoughts. Oh, hey, a life update. Anyway! My husband & I bought a house and are super excited to move into it next month. Before then, we'll be getting some work done on it (electrical update, sheetrock/door changes, new hardwood floors!). And, oh yeah, I'm in a summer class (for teacher certification) that is Monday-Thursday from 6-9pm and all day Saturday for seven weeks. After my husband leaves for work in the morning, I don't see him again until 9:30pm! And I eat dinner IN MY CAR BEFORE CLASS. Yikes! I sort of hope it speeds by... but I'm excited to learn all I can and thankful I don't have to work in the daytime before I go to class. It sounds crazy, but apparently the state of Texas doesn't allow an accelerated teacher certification program reduce the requirements, so my course and the next several months has to involve just as many class hours, and observations as any regular program that takes much longer. Phew. 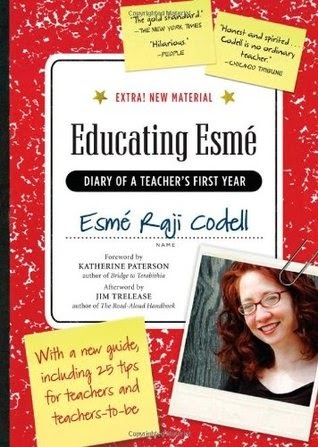 I'm reading EDUCATING ESME right now, which is probably not of any interest to people not pursuing a teaching certification, but still! It's an interesting journal documenting a new teacher's whole first year teaching 5th grade in Chicago. Hope you're having a great June! Romance - Kindle edition, 384p. Thank you to NetGalley and Harlequin for providing me with a digital copy for review. UNTIL WE TOUCH is the story of PR firm owner/former pro-football player, Jack, and Larissa, his assistant/the company masseuse. He has trauma in his past that makes him refuse to truly connect with someone, and she's always on a mission to rescue something (usually an animal, even if it means Jack ends up with a woodland creature sleeping in his living room for a few days). When Larissa's mother visits and plants the seed in Jack's mind that his relationship with Larissa could be more than professional/close friends, suddenly he's unable to relax in his massages, and starts to consider her from a new view. Since I've read fifteen books in this series, you could say I'm invested. I love going back to the town of Fool's Gold with each book to enjoy a new story, and also pop in on a bunch of the previous characters and favorite places. At times, it can be a bit repetitive (Yes, the mayor still somehow always knows everything & old lady, Eddie, is still eye balling the younger men. ), but that's part of the fun... A new Fool's Gold book is like heading back to a tiny town you love, where you know everyone and enjoy seeing them find true love. The author keeps things from going stale with interesting careers, as well as by mixing previous characters into different groups of friends around town to keep things familiar, but fresh. She also frequently includes lovable pets, and UNTIL WE TOUCH is no exception. If you're a fan of the Fool's Gold series, UNTIL WE TOUCH should be on your reading list. Focusing on Jack and Larissa brings the story's focus into the PR firm and a group of people who are newer to town, and therefore still find surprises lurking around the corners for them. If you haven't read any of the series yet, I'd recommend heading back to the first book and starting there. 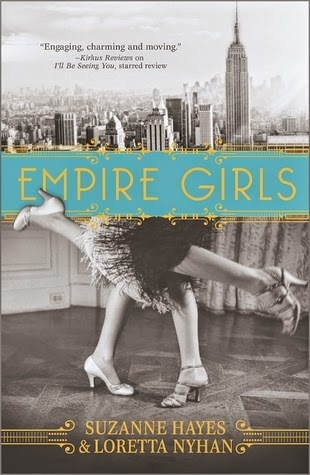 While I'm sure you could pick this one up and figure things out, a lot of the richness in the story lies in how well you know the characters and the town from the previous books, so you'd miss a lot of what I love most. The Fault in Our Stars movie is out! Sarah has read 26 books toward her goal of 100 books. For details on using content, see here for Creative Commons License. 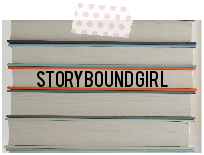 © Storybound Girl 2011-2014. Powered by Blogger.